Sboteurs say they have no plans to give up the fight to save foxes in Warwickshire. Anti-hunt campaigners in the county are concerned at the number of foxes killed by ‘mistake’ during hunts up and down the country, and say they will not stop disrupting the Warwickshire Hunt until foxes were properly protected under the law. Following the ban on fox hunting introduced in 2004, the hunt and its hounds now follow artificial trails, but saboteurs still follow the hunt closely when it takes to the Warwickshire countryside. 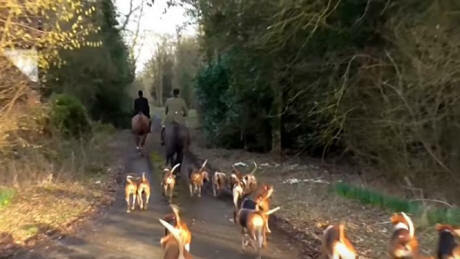 A spokeswoman for the West Midlands hunt saboteurs said: “It’s sad that it’s up to us to fight. The law is not enforced properly and hasn’t stopped animals being killed for blood sport. It’s barbaric. “We do our utmost to try and save the animals. 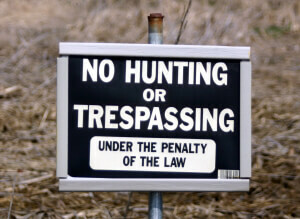 But the hunt denied the accusations and said it operated within the law. The hunt and saboteurs recently blamed each other when an ambulance was held up on a country lane near Shipston. The hunt accused protesters for not pulling their car over as they followed the hunt, while saboteurs said the ambulance was delayed by the hunt ‘using the road as their own personal playground’. Thank you to the 10 members of the Joint Legislative Committee on Administrative Rules (JLCAR) that voted Thursday, unanimously, to approve the proposed biennial rules change for the New Hampshire Fish and Game Department. The committee’s primary statutory duty is to review the proposed and the previously adopted rules of state agencies. In giving their approval, they were not speaking to specific Fish and Game proposals on the hunting and trapping of foxes and coyotes, but rather if the department adequately took public comment into consideration when formulating the proposal. The unanimous vote reaffirmed that they did. I believe it was JLCAR Chairman Sen. John Reagan who told those assembled for the vote that just because the vote didn’t go they way that some wanted, it didn’t mean that they weren’t heard. Animal rights groups feel that somehow their voices should carry more weight than those of sportsmen and women in New Hampshire. Perhaps they feel that they’re on a higher moral or ethical plateau than the rest of us? So, even though they didn’t get their way, the story is not over. Look for Legislative Service Requests, or proposed bills, in the next legislative session. But, that’s typical behavior for a spoiled child who doesn’t get what they want from one parent. They go the other parent, and if that doesn’t work, a sibling or grand-parent. They just keep going until they find someone who will agree with them and they finally get what they want … or don’t. I think the president of the New Hampshire Wildlife Federation, Jim Morse put the discussion in context. “Some have complained fox take numbers were not reduced after an analysis of a very limited set of trapping data showed a decline in fox populations. Many believe the decrease in fox take is from a lack of hunting and trapping participation, not dreadfully low fox population levels. Sportspeople simply asked if more data could be collected before hunting and trapping rules were changed. “Thankfully, the Fish and Game commissioners listened to reason and chose not to alter the seasons while biologists collected additional data. For example, last year’s red fox take was 115 animals across the entire state. Considering there are 221 towns and 13 cities in New Hampshire, I would hazard a guess each town might have more than approximately 0.5 fox. So, in my simplistic, black and white logic – if you don’t want to hunt, fish or trap, for whatever reason (time constraints, ethical issues, cultural differences or lack of past experiences) … then don’t, but don’t tell me that I can’t because you have a problem with it. Sadly, the animal rights folks only see and hear what they want to see and hear. And that vision and selective hearing does no favors to the people of New Hampshire. 1. Can hunting (or fishing) play a part in wildlife conservation? The reason I started thinking about this again was because this past weekend, I read a news article about an American woman, Tess Talley, who traveled to Africa to shoot a giraffe in a trophy hunt. The photo of this woman, standing next to this downed mountain of an animal with her rifle in hand, went viral and received immense amounts of backlash. 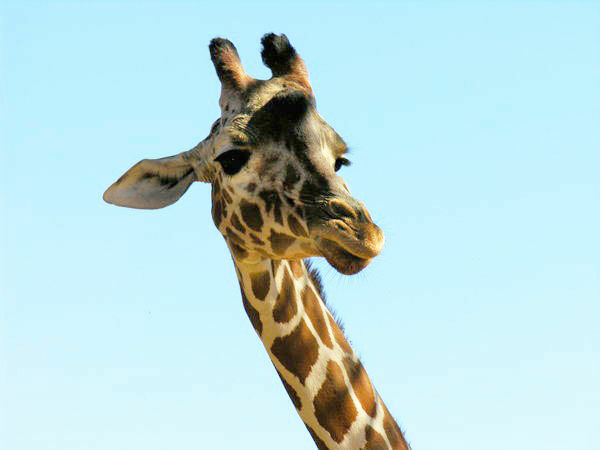 Initially, some of the uproar was because the giraffe in question had a darker hide than normal and was being called a rare black giraffe. I didn’t research it too heavily, but it seems like the hunted animal’s coat color was largely because of age (with older individuals becoming darker). But that, I think, is beside the point. Once the photo went viral, the hunter would’ve received backlash regardless of the animal’s coat color. It was enough that it was a giraffe, and she killed it. A few facts: While it’s not legal to hunt giraffes everywhere, this particular hunt was perfectly legal. Talley and the hunting company she worked with in Africa both say the trophy fee (about $2,000-$3,000) stayed in the local community. The overall giraffe population in Africa has declined as much as 40 percent since the ’80s and is predicted to keep declining in the future. In college, I took a course called Ethics of Conservation, which was easily one of my favorite courses. It covered everything from how we think of wildlife and natural areas, to bioprospecting to ecotourism. And, yes, there was a big section on trophy hunting in the middle, too. As with all other topics, my professor was very good at selecting readings and examples that highlighted both sides – those in favor of hunting for conservation and those against. As a result, I have a well-rounded view (I think). I see both arguments. Responsible hunters are very careful to follow bag limits, quotas and other restrictions that limit them to manageable take. Tess Talley was, all evidence suggests, very careful to select a company in an area of Africa where it was legal to shoot giraffes. She even took an individual that was not, or so she claims, contributing to the breeding population (although I don’t know if there’s solid proof of that). If done correctly, a large part of the trophy money does stay in local communities and provides jobs and a source of income for residents, either as part of the hunting company or working in the mini-lodges and tourist shops that support guest hunters. Theoretically, in an ideal world, this would mean that locals would be less likely to feel inclined to develop wildlife areas or poach game unsustainably. Why go out and shoot all the giraffes yourself for your own subsistence when you can make more money and secure a better livelihood, hosting hunters who shoot maybe one or two at a time? Whether or not the money does contribute to local communities is another question, cases of corruption being common, but that’s the best-case scenario. Hunters also say they enjoy spending time in nature, they respect the animals they take, and they have a personal and deep connection with the wild areas that still exist. They also often involve their children in the activity – embedding a love for the outdoors in them at a young age. I have a friend who entered the world of conservation biology only because of his childhood hunting experiences, or so he says. On the other hand, to the nonhunter, it all seems a little contradictory. If you love something, say giraffes, why do you then kill it? Why not just donate the $2,000 dollars directly to one of the many organizations that work to preserve giraffes or giraffe habitat? This question cuts a little more sharply when it’s a known fact that giraffes are indeed declining across the African continent. They aren’t our mallards or wood ducks: they are big, charismatic mammals that are dropping in number and will continue to drop in number in the future. For a lot of the angry people commenting on the photos of the dead giraffe, it is impossible to make the connection between wildlife conservation and the dead animal center frame. They read Tess Talley’s comments about how magnificent a creature the giraffe is and don’t believe her. Again, how can you call something magnificent and mean it, and then put a bullet through it? How can you claim to want to save or conserve something, and then reduce it to meat? I’m not a hunter myself, and I don’t come from a hunting family. I caught a sunfish once when I was a kid and that’s about the extent of my fishing. We even put it back. But like I said, I can see both sides of the conservation/hunting debate and have no problems with hunting myself. More than that, I am very interested in the questions that situations like this bring up. If you have an opinion, a perspective, an insight into the world of hunting and conservation, I’d love to hear it. Shoot me a line at eshelly@gcbo.org with your thoughts. Emma Shelly is the Education and Outreach Manager of the Gulf Coast Bird Observatory. The GCBO is a nonprofit organization dedicated to saving the birds and their habitats along the entire Gulf Coast and beyond into their Central and South America wintering grounds. On the first day of “Wear Orange Weekend,” the National Rifle Association and gun controladvocates traded barbs on Twitter. Orange has been hunters and sportsmen’s choice for decades. No organization in the world does more than the NRA to promote the safe and responsible use of firearms. Don’t forget to send us your orange! We wouldn’t have to wear orange if you weren’t actively blocking policy that could combat gun violence. The Trump administration is making it easier for Americans to go to Africa, shoot elephants and lions and bring their body parts home as trophies to mount on walls – all in the name of conservation…. Hunter supporters use unscientific bear sightings to inflate numbers and livestock conflicts to scare the public to justify bear hunting. If it sounds ridiculous, it likely is. So say this out loud and tell me how it sounds. Shooting endangered and threatened species will help save them. Hunters are helping keep you safe by killing black bears. In honor of National Wildlife Week, let’s parse these statements. Supporters of black bear hunts assert that the bears are a nuisance at best and a safety hazard at their worst. They point to unscientific bear sightings to inflate numbers and livestock conflicts to scare the public. Killing them will solve this, they say. And the hunters then get to take home the bears to mount or use as rugs. Nice reward for saving all of us. On a national level, the Trump administration is making it easier for Americans to go to Africa, shoot elephants and lions and bring their body parts home as trophies to mount on walls – all in the name of conservation. The thing is, the science doesn’t back any of this up. This month a new study published in Science Advances found issues with the science cited in the “North American Model of Wildlife Conservation,” which guides hunting policies. The study found that what counts for science is rarely defined. In fact, a majority of the science in management plans surveyed — 60 percent — contained fewer than half of criteria for the fundamental hallmarks of science, which include measurable objectives, evidence, transparency and independent review. The report reviewed 62 U.S. state and Canadian provincial and territorial agencies across 667 species management systems. “These results raise doubt about the purported scientific basis of hunt management across the U.S. and Canada,’’ it concluded. The claims of hunting as conservation of endangered and threatened species also don’t stand up to scientific scrutiny. There aren’t any documented, peer-reviewed studies that show that lawful hunting does not overall disadvantage the species being hunted. Emerging studies, in fact, indicate that legal hunting can increase demand, promote black-market trade of sport-hunted animals and reduce the stigma associated with killing wildlife. 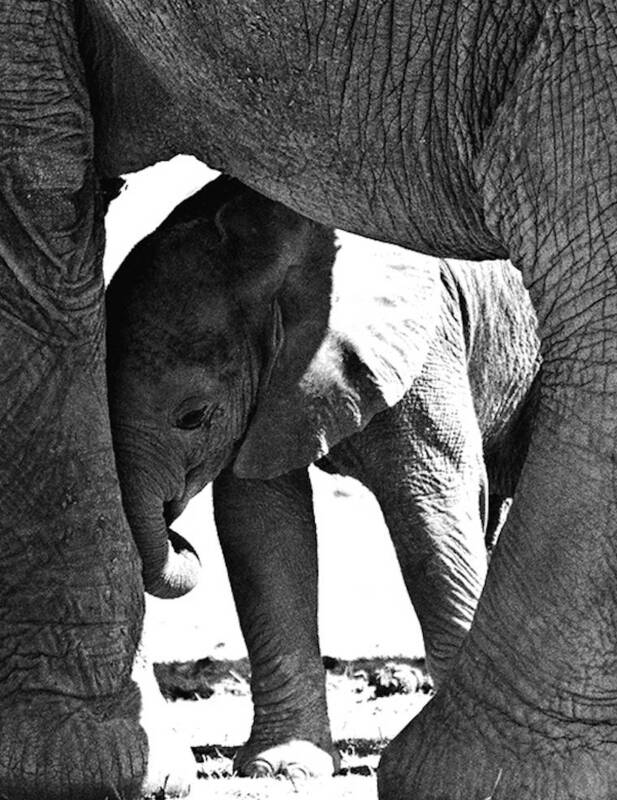 The African elephant population has plummeted by 30 percent in seven years, with just 350,000 left in the world where once there were millions. The population of lions has declined by 42 percent, with just about 20,000 left. Additionally, a new study by Duke University found that poaching and habitat loss have reduced forest elephant populations in Central Africa by 63 percent since 2001. Yet, the U.S. Fish and Wildlife Service announced it was lifting a ban on trophies from several African nations and will allow them on a case-by-case basis. This action, coupled with the Department of Interior’s creation of an International Wildlife Conservation Council comprised of hunting industry representatives whose stated goal is to advise the agency on the benefits of international hunting, removing barriers to the importation of trophy-hunted animals, and reverse suspensions and bans on trade of wildlife, sends the message that the only way to save these majestic creatures is to make sure it’s easier to shoot them to death. On a local level, here in my home state of Connecticut where FoA is headquartered, I listened intently as supporters of a bill to kill 5 percent of the black bear population in the lovely Litchfield County region insisted it was necessary to prevent bear-human conflict. Bears are killing livestock! Bears are getting into garbage cans! Knocking over bird feeders! Scaring hikers on trails! Lions and tigers and bears. Oh my! I’m not making light of a bear encounter. They are formidable. But the science and the math for a shoot-first approach doesn’t add up. First, bears are shy and attacks are more associated with human behavior than the population of bears, studies show. To ward them off if you are a hiker, wear bear bells, carry bear spray. Worried about your backyard farm animals? Install an electric fence. Certainly, don’t feed bears, keep your doors shut and remove bird feeders in the spring. The truth is black bear attacks are super rare. In the past 20 years, there’s been 12 fatal black bear attacks in the U.S, yet thousands of black bears have been slaughtered in legal hunts. More than 4,000 bears were killed in New Jersey alone since bear hunts were legalized there under Governor’s Christie’s reign before the new governor halted them. In New York, more than 1,000 black bears were killed in hunts last year. Yet, along with that news in New York about the success of its 2017 bear hunt, there was this item buried in a press release from the N.Y. Department of Environmental Conservation: 19 humans were injured by hunters last year and one was fatality shot, a woman who was just walking her dogs in the woods by her house. In fact, between 2011-2017, there’s been 14 humans killed by hunters and 131 injured in New York. In Connecticut, hunters have killed one human and injured 13 between 2011-2016. The number of bear fatalities in both these states? Zero. The more I dug into fatal black bear attacks verses fatal hunting incidents, the more alarmed I became. In just six states I reviewed where bear hunting is allowed or being considered, there have been 500 humans injured by hunters and 63 killed. The stories are sad. People who were fishing when they got shot by an errant hunter’s bullet. Hunters shooting each other and themselves. And there was Rosemary Billquist, a 43-year-old hospice volunteer who was the woman from upstate New York shot dead last fall by her neighbor. When FoA testified against a black bear hunt in Connecticut, pointing out the hundreds of injuries and startling number of humans killed by hunters, dispelling the myth that bear sightings at all indicate bear populations and showing there is a weak correlation between the number of bears in a region and bear-human conflict, the majority of lawmakers on the state’s environment committee saw the light and voted down the hunt. But black bear hunts are still legal in a majority of states. It’s estimated that 40,000-50,000 black bears have been killed in hunts. But the fact is the number of fatal black bear attacks are rare. Human hunting related deaths and injuries – not so rare. The number of U.S. residents who hunt is dwindling every year. Yet, the damage they are doing to wildlife and other humans is astounding. Elephants are becoming rare. So are lions. Shooting them to hang on walls doesn’t conserve them. The math is the math and the science is the science. Friends of Animals’ Communications Director Fran Silverman oversees FoA’s public affairs and publications. Her previous experience includes editor of a national nonprofit consumer advocacy site, staff writer and editor positions and contributing writer for The New York Times. Senator Jim Inhofe announced the end of his annual wild pigeon, a cause for celebration for an animal rights group. The outdoor fundraiser had been the target of a multi-year campaign by Showing Animals Respect and Kindness, or SHARK, which alleged the event was cruel. The shoot had come under criticism for allegedly using tagged pigeons that were hand thrown in the air, instead of hunting wild ones. The Inhofe campaign has long held a very successful dove hunt event each year. In a few recent years, the event has included a pigeon shoot. This year we will not have that component of the event and will return to our traditional format; we expect it to be a record year and hope everyone who attends has a wonderful time. It surely sounded like a good idea. People for the Ethical Treatment of Animals built a digital photo frame that reads, “Shoot Selfies, Not Animals,” and made it available to Facebook users. The campaign was clearly designed to encourage citizens of the world to view animals more like the furry creatures in Disney movies rather than walking steaks, roasts and ground meat. But the project backfired. Spectacularly. Hunters throughout Louisiana and beyond have used the frame to show off some harvests they’re particularly proud of. Surely the organization is shocked to learn the dumb hicks in the hunting public even HAVE computers.